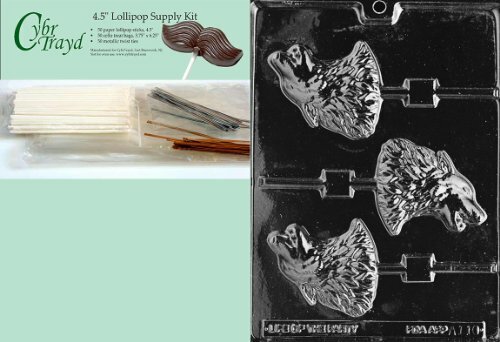 The non-food supplies you need to make and wrap 50 lollipops: Sticks, bags, ties and instructions. And, they are manufactured for (No Suggestions), a trusted name in chocolate candy molds. 50 cello bags, 3.75" x 6.25"
50 paper lollipop sticks, 4.5"